Chitchat — Our side project just became our main project. Chitchat — Our side project just became our main project. We fully sympathize with the spammy invitation texts and notifications, and we apologize for being such a pain. We are working hard to build sustainable products — not just hack some growth numbers together — and we know these sorts of tactics are annoying and just don’t work. Retention is the most important metric, not growth. Chitchat has only been out for a few weeks, effectively run as a product for a limited beta community, our latest build wasn’t supposed to be used beyond a small group of targeted people. We had some issues with too many notifications being sent out and a half baked growth feature with incorrect copy variations. Having friends on the app is an integral part of what makes the Chitchat experience work. On Friday, more people started using the app than we were anticipating, and before we knew it, a lot of people were receiving invitations to Chitchat. We are moving fast, obviously too fast. Immediately after hearing your feedback, we shipped a new version of ChitChat (currently waiting for review by Apple) that addresses these concerns and throttles down notifications. To give you a little more context around ChitChat, ChitChat is the latest in a series of mobile apps that our company, Swipe Labs, has built. We are a product studio and every year we focus on a new app until something catches on. So far we have built Tag (2014), Swipe (2015), Channel (2016), and Chitchat (2017). Chitchat started a few weeks ago as an internal side project. It was very early on in iterations and it was never supposed to go primetime. 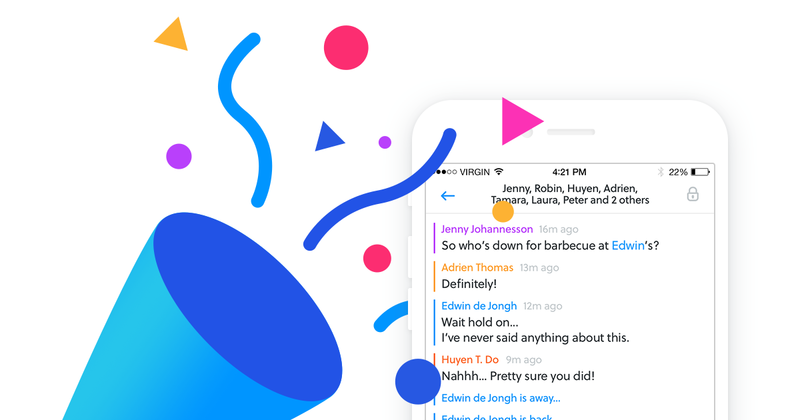 The cat’s escaped the bag: we have a new live messaging app, ChitChat. We had no idea that Chitchat would spread so fast, and our team is incredibly excited about building a platform for live spontaneous communication that mirrors real world human interaction. We want you to know that we are grateful for your feedback. We’re listening to you, and we’re working on making ChitChat a great place for people to hangout. Please send me an email to marwan@joinswipe.com if you have any suggestions.